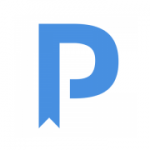 Peerwith is a platform for expert-led researcher services, connecting academics seeking to raise the quality of their academic work with peers who are experts in researcher services. It is Peerwith’s mission to be the global leading platform for researchers to connect and collaborate with experts to improve the quality of their academic work. In this mission, we attempt to partner with all stakeholders that share this mission. This includes libraries that are increasingly playing a role in pinpointing researchers to the right researcher services. In order to investigate how libraries can optimally facilitate access to the best and most affordable services, Peerwith has launched a pilot with the library of the Erasmus University Rotterdam. With knowledge as the key concept, Erasmus University Rotterdam concentrates on the three main tasks of a university: to generate knowledge (research), to transfer knowledge (education) and to disseminate knowledge (society).